walk on the beaches where Canadian soldiers paid the ultimate DDay sacrifice. and French joie de vivre. Bienvenue! The City of Lights welcomes you as you prepare to embark on an unforgettable journey through France. Join your fellow travellers and Travel Director this evening for a Welcome Reception and orientation drive to admire the beautiful cityscape of Paris - past grand boulevards and iconic sites like the Champs Élysées and the Arc de Triomphe. This morning, we depart Paris and venture to the city of Rouen, the tragic site where Joan of Arc was burnt at the stake. 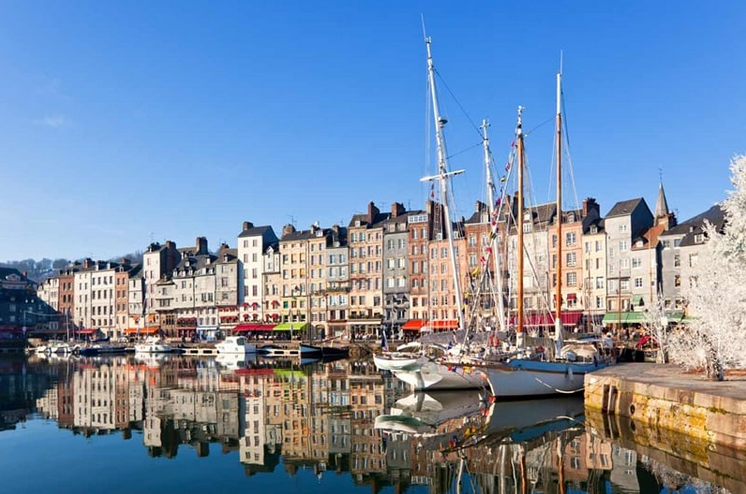 We travel to the enchanting harbour town of Honfleur - its narrow lanes and colourful shopfronts have long attracted artists who have immortalised its beauty on canvas. Arriving in Bayeux, we visit the Tapestry Museum and see the Bayeux Tapestry, depicting events before and during the Battle of Hastings in 1066. This evening, we dine at our hotel. We begin the day visiting the poignant D-Day Museum and the bunkers and Rangers Memorial at Pointe du Hoc. Pay tribute to the brave souls who lost their lives on the D-Day Landing Beaches of Omaha, imagining the sense of terror and triumph felt the fateful day that Allied forces set foot on mainland Europe. We stop for lunch in the seaside setting of Arromanches, once at the heart of the Normandy landings. Finish the day on the beaches of Juno, one of the five D-Day landing beaches. A drive through the Norman countryside takes us to a family-run cider farm, where we'll visit and taste the local tipple. Then, we're off to a Farmhouse Inn for a Norman feast with drinks included! This morning, travel to the fortified island town of Mont St. Michel. Here we'll join a Local Specialist for a tour of Mont St. Michel's medieval Benedictine Abbey. Legend has it, the abbey was built after the Archangel Michael appeared to the Bishop of Avranches inspiring him to build a church atop the island. Consider an Optional Experience to the historic walled port city of Saint-Malo, once the home of famous French explorer, Jacques Cartier. You’ll explore the prettiest walled port in Brittany with our Local Specialist. Stroll along the medieval ramparts, admire the aristocratic old houses of wealthy shipping merchants and take in the Emerald coastline. Home of Jacques Cartier and the great romantic, Chateaubriand, this is your chance to discover one of the jewels of France. Journey through the scenic countryside, stopping to 'Connect With Locals' over a light Be My Guest meal with wine at a 17th-century château set within beautiful gardens. 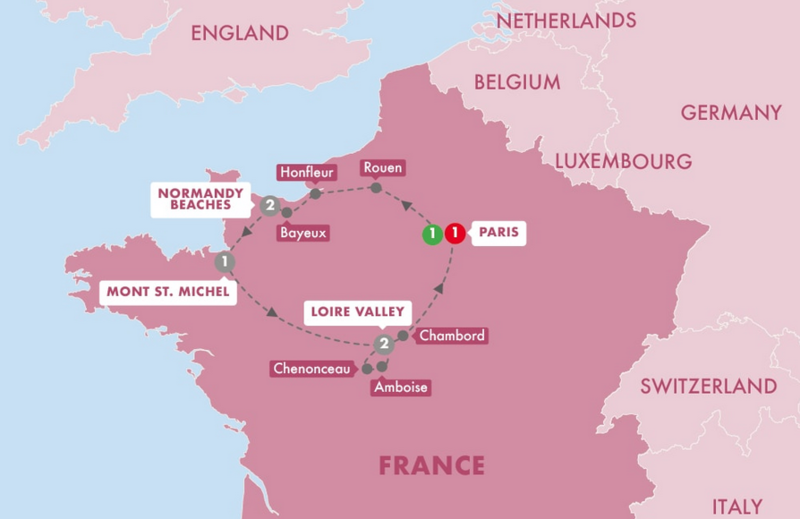 We journey to the Loire Valley, where we will spend the next two nights. Our Local Specialist will take us through the narrow streets of the medieval part of Tours' Old Town, lined with timbered houses. We'll hear the story of St Martin, who was once Bishop of Tours, and visit the Basilica built around his tomb. Visit the Manor house and gardens where Leonardo da Vinci spent his last years, preserved much as he left them on his death almost 500 years ago. Your guided tour culminates in a display of Leonardo's most extraordinary inventions - from submarines to helicopters. Santé. Toast our new-found friends as we enjoy a typical French meal in an atmospheric Old World setting. Drinks are included. A guided drive through Paris' bohemian Left Bank with our Local Specialist brings us to amazing Notre Dame to discover one of the world's most famous Cathedrals and the epitome of Gothic architecture. Afterwards, take a stroll through the delightful Latin Quarter, a medieval maze of winding cobblestone alleyways where you'll have free time to enjoy the sidewalk bistros, boutiques and hidden squares. Paris at night is a city transformed. Enjoy this superb 'City of Light' on a leisurely cruise along the River Seine. Afterwards, as we drive through this amazing city, we’ll stop at some vantage points for you to capture the fascinating sights on camera. In summer, this trip may take place before sunset. For now it's time to say a fond au revoir to France and your fellow travellers at the end of a memorable trip. Transfers are available. Conditions apply. We are dedicated to giving you the most enjoyable vacation you ever had. We offer more destinations, styles of trips and experiences than any other guided vacation company. And more Optional Experiences and entertainment options too. 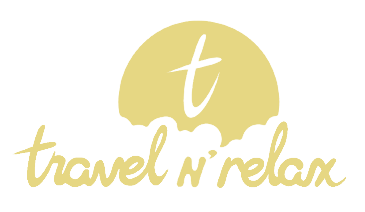 No other guided travel company has received so many awards; we are proud of every guest testimonial.